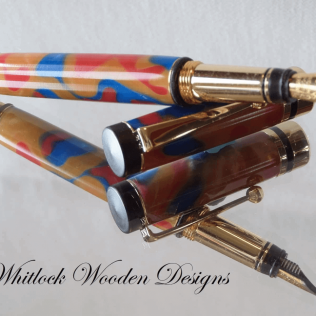 An exotic Wenge fountain pen handcrafted on a lathe in my own UK workshops. 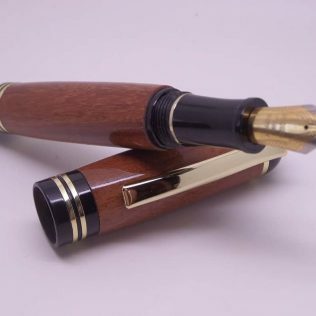 The wenge pen has a high-quality gun-metal plated trim with premium gold-plated medium point nib. This pen comes ready to use with one ink cartridge or a good quality converter pump for your own bottled ink. 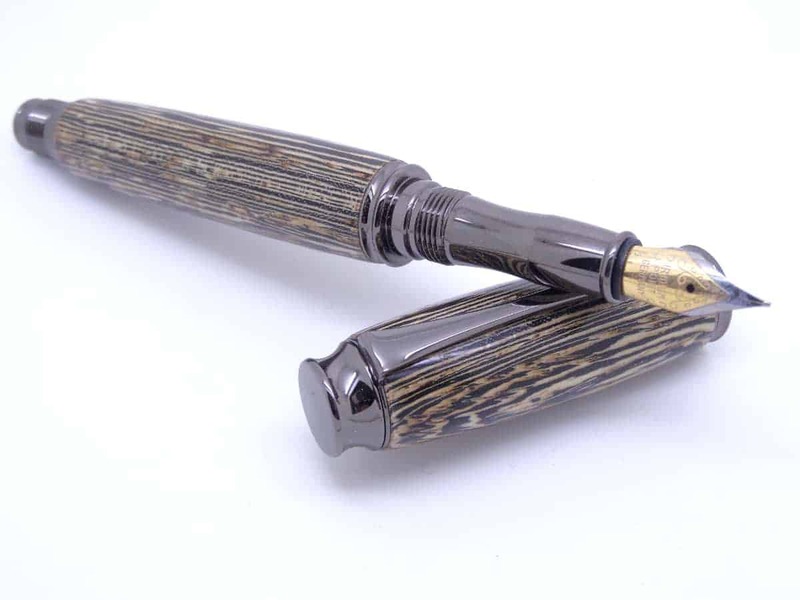 The pen barrels dressed with a piece of Wenge. 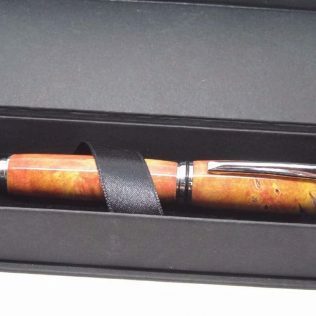 Although wood as dark as this can be difficult with the colour and grain orientation to hand turn a good pen. I have treated this to show the wood grain to better effect. 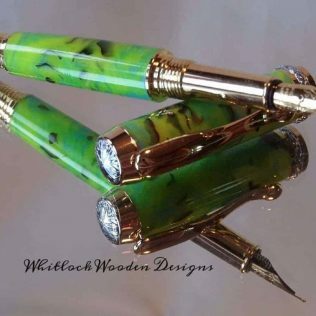 All of my fine wooden pens have a hard, durable finish to protect the pen. This finish takes time and skill to apply hence my prices. 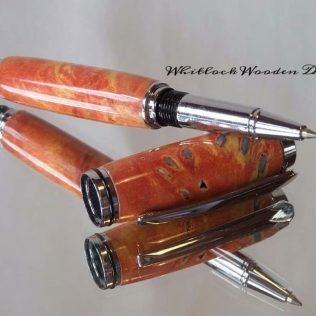 Other pens may have finishes such as wax or friction polish, these won’t give any long-term protection to the pen. Natural oils from the skin will stain these other pens. Many people say fountain pens are the best fine writing instruments. 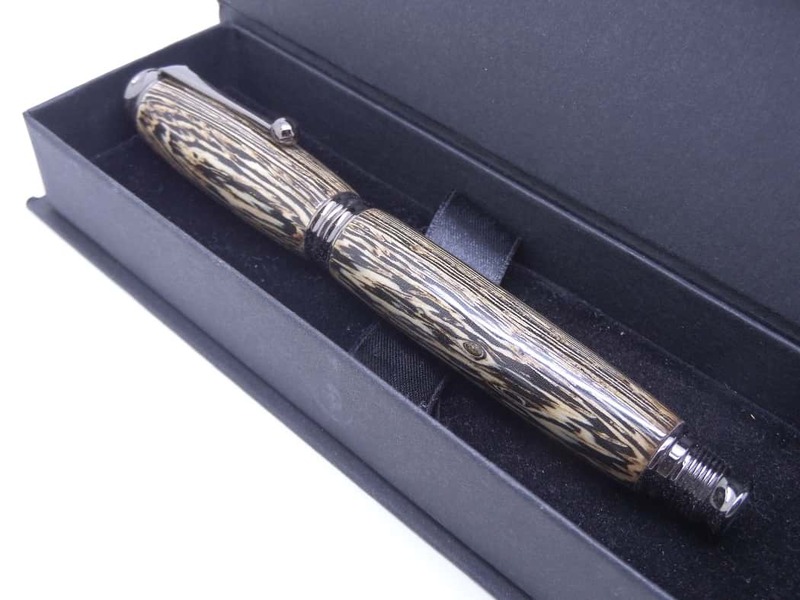 With this beautiful wood fountain pen, you will have an eye-catching pen perfect for smooth fine writing.